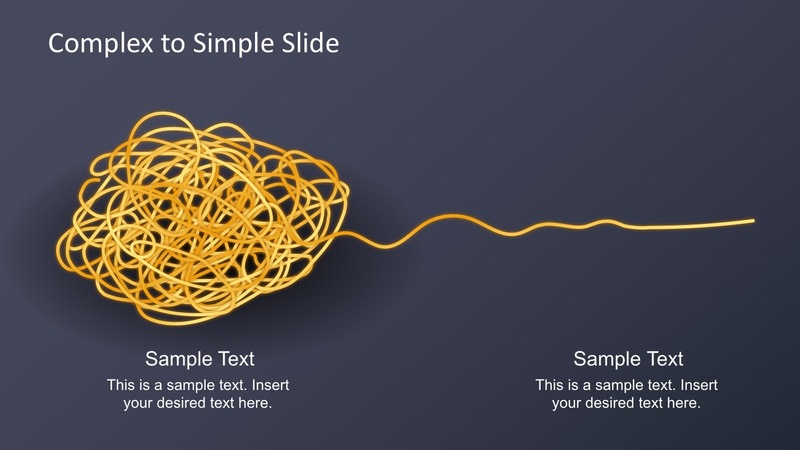 Spaghetti process concept for PowerPoint is a presentation template that can be used to present the transition from a complex or convoluted process into a simple process. 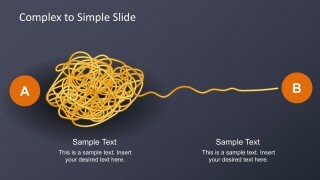 Using a spaghetti metaphor creates a PowerPoint template with different spaghetti graphics. 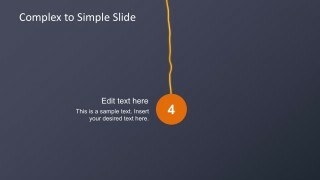 The graphics were created as PowerPoint shapes to offer higher flexibility to edit the slides. 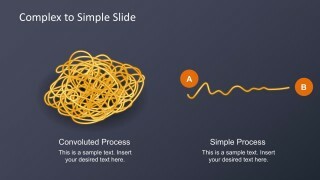 Download Spaghetti Process Concept for PowerPoint with 4 steps. 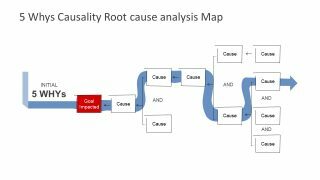 Ideal for the complex to simple business process management frameworks. 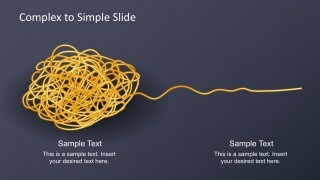 The diagrams are artistically put together from simple spaghetti vectors to create a professional design. 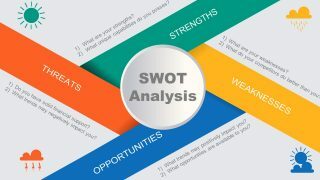 Created in high-quality photographic shapes with cool lighting and shadow effects for PowerPoint. 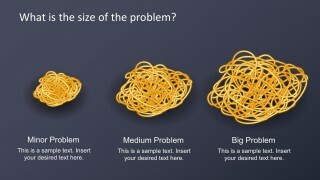 This presentation effectively tricks the spaghetti concept of tangled lines in an understandable and simplified manner. This highly contrasted and high in impact graphics will surely impress audiences. 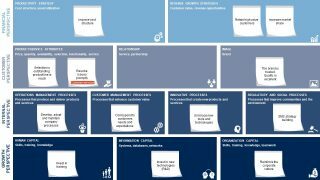 Use this template to deliver a complex to simple processes for business, company, or startup. 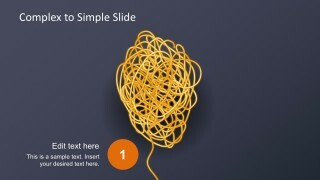 This 4-steps spaghetti process for PowerPoint eradicate the generic structured mixture of text, process maps, and diagrams. 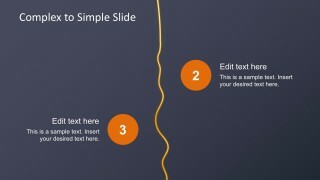 The simplicity and uniformity of design allow users to easily maneuver the slides. 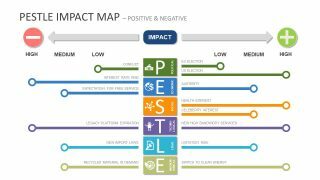 Using the PowerPoint tools, fill in colors, reposition selected parts of an image, add more steps depending on the needs of the presentation. Alternatively, enjoy a full access to the entire graphic design template gallery for PowerPoint.